Introducing the top 100 cloud services providers (CSPs) named to the Channel Futures Talkin' Cloud 100. Each year since 2010 Talkin’ Cloud has recognized the top cloud service providers (CSPs), giving recognition to 100 companies that help transform their clients’ businesses through the combination of innovative cloud services and support. This year’s list is even more exciting as we celebrate a new milestone for Talkin’ Cloud as part of Channel Futures: a new website dedicated to offering business strategy, research, and case studies supporting the new channel. This year’s list reflects this changing market as service providers embrace new business models, emerging technologies, and innovative support models. As in previous years, the ranking has a heavy weighting on recurring cloud revenues, as well as input from our Channel Futures editorial team. 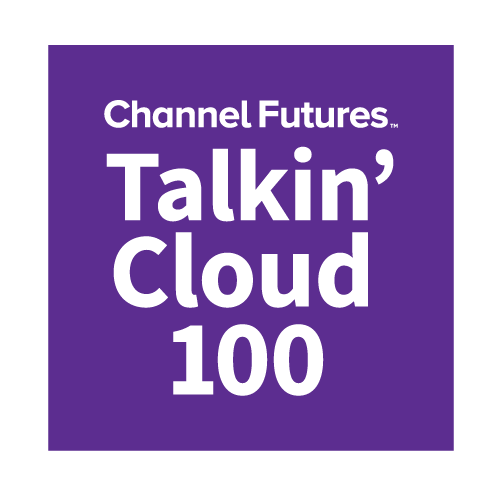 Thank you to those who participated in this year’s survey, and congratulations to the Channel Futures Talkin’ Cloud 100 companies. Did your company make the list? Congratulations! Download the winner logos and press release template here. Looking for the 2016 Talkin’ Cloud 100? Click here.